Today, customers are looking for authentic experiences that are engaging, interactive and personal. While consumers are becoming more and more sophisticated, marketers have to employ heightened interactivity and increasingly personalized communications to impress their customers. Thus, virtual reality (VR) has become one of the most powerful marketing tools you could use to create authentic experiences and stand out from the crowd. 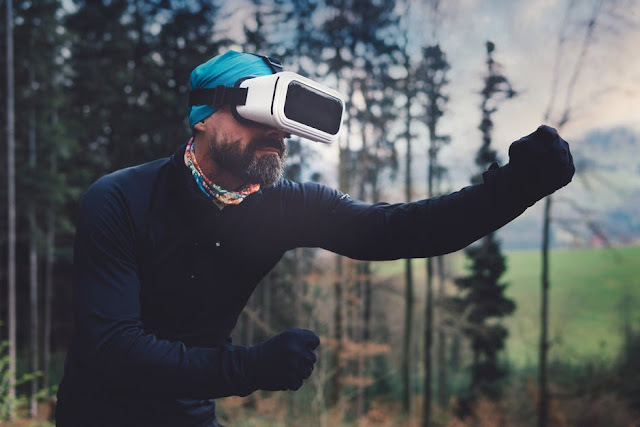 Here is what you need to know to jump on the VR marketing and advertising bandwagon to meet your customer expectations in an innovative way. VR is also closely related to the idea of telepresence which "enables people to feel as if they are actually present in a different place or time" as well as to the notion of immersion - deep mental involvement. Altogether, VR technologies allow greater emotional intensity and provide a new layer of experience. As such, VR has been one of the most discussed new consumer technologies over the last couple of years. The technological development and lower production costs have recently made VR more available for the marketing industry too. In fact, several brands already use it to increase awareness, enhance engagement and improve the customer experience. 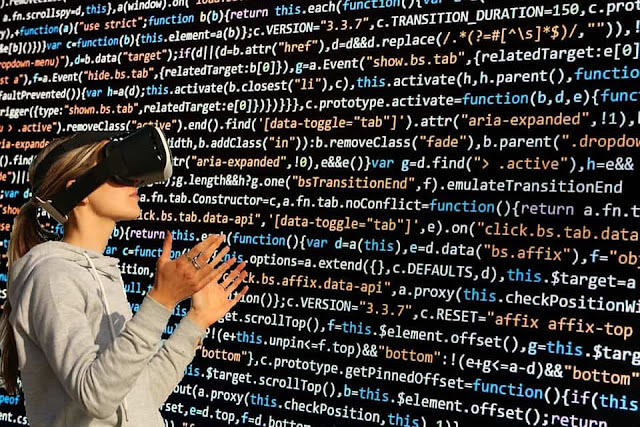 Moreover, it’s estimated that VR will continue to create the disruption in business models becoming the next major platform shift after the web and mobile devices. • It’s predicted that by 2022 the VR industry would have hit about $33.90 billion. • By 2020, the predicted number of sold VR headsets will reach 82 million. • The estimated number of VR users by 2018 is 171 million, up from only 200,000 in 2014. • 62% of consumers say they would feel more engaged with a brand that sponsors a VR experience. Moreover, some of the most forward-looking brands are already working on VR. In 2014, Facebook acquired one of the leading VR companies Oculus, and now are developing a VR social media called Space. Apple has a separate division called ARKit which is working on augmented reality that’s available on iOS 11. Further, Google enables VR on Chrome and Mozilla did the same thing. Altogether, it’s clear that VR is the next big thing and you should be thinking how to implement it in your marketing strategy as soon as possible. Virtual reality advertising is here and it's here to stay! Firstly, one of the most important things is to explore how your customers consume your content already. Consider what channels are they using to learn about your company and interact with it. Is it Facebook, Instagram, your company’s website or mobile app? Such audience analytic tools like Google Analytics, Followerwonk, Capsulink, and others will help you get deeper insights of your audience and its behavior. Once you know which is the primary medium for your customers, you can incorporate virtual reality elements or VR content accordingly. For example, Disney created a 360 VR experience of flying through one of the locations in the new Star Wars movie. The content was released using Facebook’s 360 videos feature allowing them to gain 6.6 million views, 75k likes and 237k shares. VR is fresh, new and exciting and therefore it attracts increased customer interest. Yet, you should not consider VR itself as your marketing message. Keep in mind that it’s only a platform and to be effective it still has to provide valuable branded experiences. Therefore, while creating a VR marketing strategy, you have to keep in mind what your main message is, what you want your audience to learn, experience, or do. The VR then must be used to achieve those goals. Virgin Holidays provides a great example of how the VR technology is used to achieve the company’s goals. Using Google Cardboard technology, Virgin Holidays created a 360° experience of visiting resorts in Mexico. The video shows customers what they can do and see in these destinations, like swimming with the dolphins and walking on cliffs. The main goal of the campaign was to tempt people into planning their next trip with Virgin Holidays. As a result, the sales of the trips showcased in the VR video rose significantly. When working on your content marketing strategy, remember that VR is not only about your brand’s message. In fact, VR provides a lot of exciting new opportunities that enable truly immersive and believable experiences. You should use this technology in your advantage and focus on giving your customers an experience that matters. TOMS Shoes did just that when they used VR technology that allowed people to live the experience of TOMS Giving Trips. The film took the customers to a giving destination with a team of TOMS employees and introduced them to a local boy named Julio who showed his living conditions. Altogether, the VR video provided a heartfelt and touching experience to everyone who tried it. In the past, film was the most immersive storytelling medium. However, the audience was still just watching. Now, the VR provides a new promise of “presence” and a feeling that you’re actually there. This makes it a powerful tool for your brand’s storytelling. Make sure you craft a strong narrative for your user’s journey within your video. In addition, use interactivity and visual and audio cues to make the story more impactful. The New York Times, for instance, have created a special VR mobile app that tells immersive stories. Through VR, The New York Times puts their readers at the center of the news and the unique storytelling and advanced technology brings people in the places they wouldn’t normally go. For example, The Fight for Falluja is a virtual-reality film that effectively tells the story of the battles Iraqi forces endured to retake the important strategic city of Falluja from ISIS. Another important advantage of VR is that it makes it easier to create content for customers who live far away. This means that your potential customers won’t have to travel long distances to get to know your company, making you more approachable. 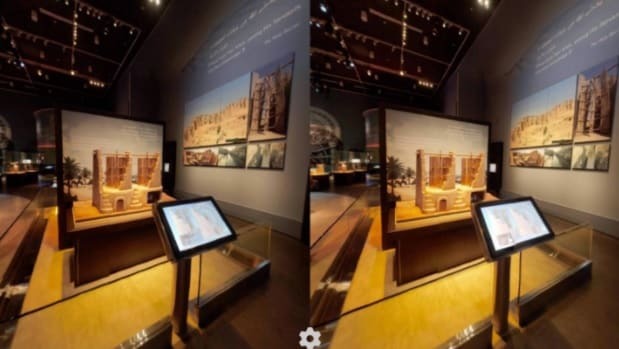 For example, KAUST Museum launched a VR project Viewseum for those for whom the distance was the main problem to visit the museum. The project includes a VR viewer and a VR app that allows visitors to virtually explore KAUST Museum from home. Furthermore, VR provides a great way to showcase your products to customers without them stepping into your store. This means that your potential customers can experience what your business is selling from their own home. A great example of this is the IKEA Virtual Store that gives an opportunity to explore IKEA Living room, Living room storage, Bedroom and Wardrobes departments at any time of the day. This enables customers to "walk" the store, browse and even buy products - all without leaving their couch. Ultimately, remember that your VR solutions should be focused on providing value for your customers. Always consider your customers' perspective and think of how you can help them solve their problems and improve their lives. For instance, Lowe’s research showed that many customers lack the confidence or skills to carry out DIY projects. Therefore, they introduced Holoroom How To, an on-demand VR skills clinic. When the customers put on the VR headsets and hold the controllers, they are immersed in a DIY project and given step-by-step instructions. Content marketing is always evolving and it’s more important than ever to stay on top of trends. 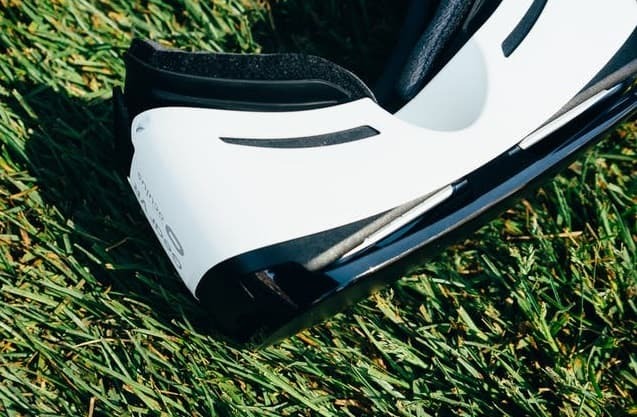 In fact, VR is here to stay and if you manage to play your cards right and think outside the box, it will help you stand out from your competitors and attract new customers. Get started with virtual reality marketing and advertising today! About The Author Alexander @Bickov is a Riga based product designer with over 15 years of UX design, virtual reality and digital marketing experience. In his work, he aims to connect people and products by using strategy, creativity and technology. Alexander has built digital services and products for organizations ranging from agencies, startups to large companies. His work is featured in the iOS App Store, Wall Street Journal, CNN, Business Insider, Forbes and Big Think. I hope you enjoyed this article about VR marketing and how to utilize virtual reality advertising in your business. Interested in more articles about virtual reality and AR?